The Brewer’s Backyard returns for our final event of the season, Torontoberfest, on Thanksgiving Monday, October 12th at the Evergreen Brick Works. 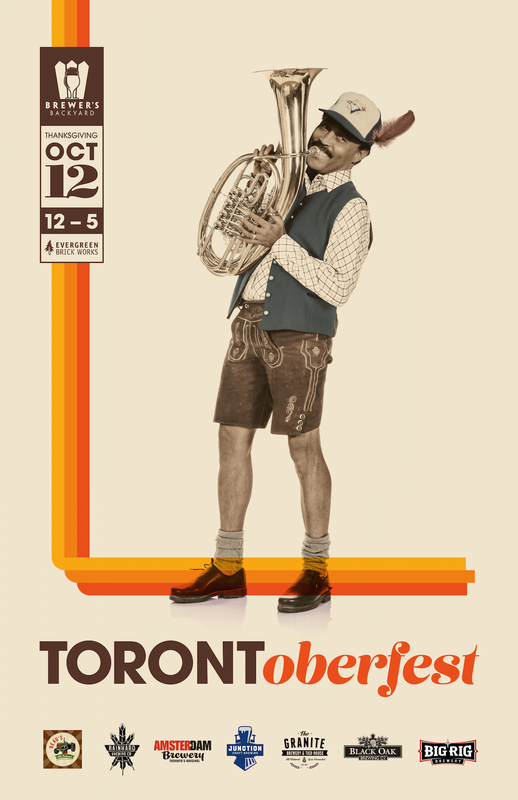 Torontoberfest, our Brewer’s Backyard take on Oktoberfest, will feature some of the finest breweries in the province, including Beau’s All-Natural, Junction, Granite, Black Oak, Amsterdam, Big Rig and Rainhard. Serving up delicious food will be WVRST and the Midnight Snack Co.
Join us for some tasty brews, sausages and lots of oompah as we cheer on the Toronto Blue Jays in the playoffs. We’ll be on from 12-5pm on Thanksgiving Monday, October 12th at the Koerner Gardens and Holcim Gallery areas of the Evergreen Brick Works. We go rain or shine, as the Holcim Gallery area is covered. Admission is free and our event is family-friendly. We hope to see you then!